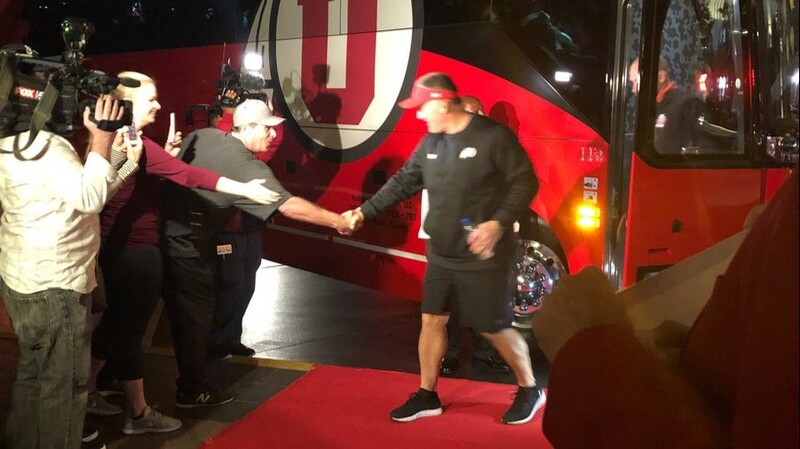 The Utah football team arrived in San Diego Wednesday and practiced at Mesa College in Clairemont, five days before facing Northwestern in Monday’s Holiday Bowl. The Utes bowl week itinerary includes a joint visit with the Wildcats to U.S. Navy aircraft carrier USS Theodore Roosevelt on Friday and a trip to the San Diego Zoo on Saturday. The Northwestern team is staying at the Marriott Marquis San Diego Marina in downtown San Diego and practicing at Southwestern College in Chula Vista. The Wildcats will visit SeaWorld on Saturday. Northwestern and Utah will both be making their debuts in the Holiday Bowl, which has been played annually since 1978. The Wildcats (8-5) lost three of their first four games, won four in a row, lost to undefeated Notre Dame, 31-21, then won their next three before a 45-24 loss to Ohio State in the Big Ten Conference title game, in a game they trailed 31-24 early in the fourth quarter. The Utes (9-4) started the season 2-2, won four in a row, lost to Arizona State, 38-20, then won their next three before a 10-3 loss to Washington in the Pac-12 Conference title game.